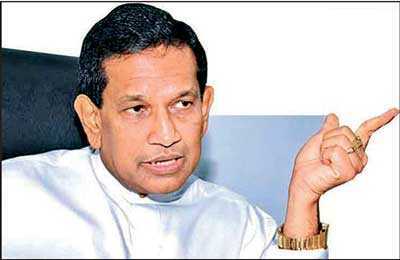 Minister of Health, Nutrition and Indigenous Medicine Dr. Rajitha Senaratne yesterday criticised Deputy Minister of Industry and Commerce Buddhika Pathirana for misleading the House with false information with regards to finding pig fat in milk powder imported from New Zealand. “Minister Buddhika Pathirana’s statement is completely false. Our food safety section has conducted tests on this issue. I will table those reports in the Parliament. There are also reports obtained from the New Zealand Authorities. So, according to these two sets of reports, there is no other animal fat other than dairy fat in this milk,” said Dr. Senaratne. The lawmakers, having listened to recent allegations made by Deputy Minster Pathirana on milk imported from New Zealand and the counter-arguments of Minister Dr. Senaratne, proposed to appoint a Parliament select committee. Calling for an international standard test to get to the bottom of the milk powder contamination issue, United Peoples Freedom Alliance (UPFA) MP Wimal Weerawansa stood in favour of Deputy Minster Pathirana’s revealing in Parliament. “Some time ago, Mawbima Lanka Foundation sent some samples to laboratory tests in the UK. Based on the test reports, they revealed what is in the imported milk. So, the milk importers took legal action against the Mawbima Lanka Foundation. So, just because the officers at Health Ministry show different facts, we should not underestimate what was revealed in Parliament by Deputy Minister Buddhika Pathirana. We suspect the milk importers buying the local labs. So, the test should be held separately,” held MP Weerawansa. Deputy Minister Buddhika Pathirana on Tuesday made a controversial statement in response to a supplementary question raised in Parliament. According to him, instead of 100% natural milk, the respective imports from New Zealand are suspected to contain mainly animal fat extracted from pigs and cattle followed by palm oil. “We have received complaints at the Consumer Affairs Authority that these imports are mainly mixing of lactose and palm oil. Especially the milk imported exclusively from New Zealand. According to the reports we have, based on their capacity, it is not possible for New Zealand to cater to the full milk demand of Sri Lanka,” he said. According to the Minister, the time has come for the Government to follow similar action that the Minister of Health Rajitha Senaratne took against the tobacco companies. “We have received a research report by Wayamba University conducted in 1991. Based on this report, the former Health Minister Renuka Herath issuing gazette notification has set standards to milk, which has to be 100% milk extracts from cows. But what we receive here is a mix of lactose and oil extracts from pigs and also a mix of lactose and palm oil as milk powder from New Zealand,” he charged.